This is my first Patrick Ness book and I am really excited. I’ve heard people saying that it’s not his best work though, so I am keeping my expectations in check! 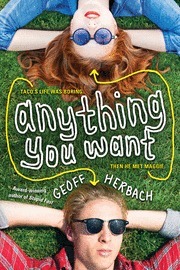 I will buddy read it with Marie @Drizzle and Hurricane Books and it’s all very informal with us discussing on Twitter. So, if you want to join in with us you are more than welcome to. I bought this book because I fell in love with the cover and when it finally arrived it was even more beautiful than I thought it would be. I have no idea if I will have the same sentiments about the story though, so I haven’t ordered its sequel yet. Let’s all hope together that I will love it! 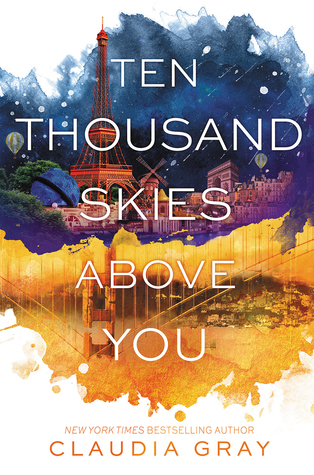 I’ve been waiting a long time to get the sequel to A Thousand Pieces of You and will buddy read it with Marie as well. Our schedules are busy, but I am sure we will make it work! This month we will actually read it! And by we, I mean Cristina @My Tiny Obsessions and I. 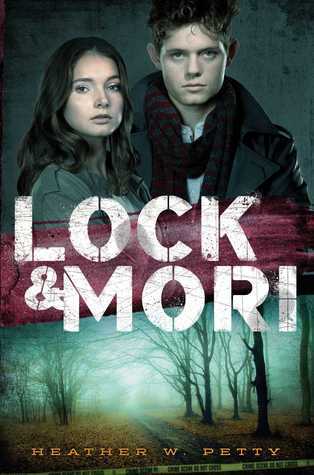 We were huge fans of the first book in the series, Did I Mention I Love You? so hopefully this one will be equally good. I guess it entirely depends on my reading speed if I will get to the book. I am in no particular rush because it’s release is in May, but I would like to read it with Cristina as well, so maybe we will tackle it this month as well! As a little remainder from last month, this book will stay in my TBR as a filler in between books until I finish it. Click on the covers if you want to know more about the books! What are you planning to read this month? Share your thoughts in the comments below! Good luck with this TBR, I’m sure you’ll smash it! And of course, have a great time at your new job! 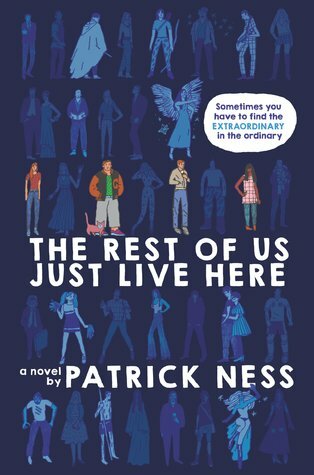 I also am yet to read a Patrick Ness book but I really want to. I feel as though The Rest of Us Just Live Here would be a good start. It appeals the most to me. Can’t wait to hear your thoughts on it! Thank you! I am confident I will read a lot of it. My commute is pretty long, so it’s really perfect for reading. I find TROUJLH to be hilarious and weird and entertaining but also a very quick read. Hahaha thank you for the warning! You can definitely expect a review for everything once I am done! I am really Liking TROUJLH so far. It’s fun but also weird and I like weird. Yep, I could definitely see it becoming even stranger! The entire commute takes more about an hour. Reading is a great way to spend that time. Can’t wait to see what you think of Patrick Ness’ book 🙂 I heard of almost all of these books but haven’t read any of them (except for Ness), hope they’re good ones. Have fun reading! I like your TBR 😀 :D. Are you enjoying TROUJLH? YEEEES! It’s weird and funny. The parts with the indie kids cracks me up every time! If you like contemporary Sherlock Holmes-type stories, my friend Angela Misri publishes stories about a relative of John Watson in 1930’s London, “A Portia Adams Adventure”. I’m not sure if the first book, Jewel of the Thames, is available where you’re at, but it’s a thought. Hahaha the 30s aren’t really contemporary in my mind, but thanks for the recommendation anyway! Meh, last one-hundred years. For a history major, that’s contemporary enough. Thank you! 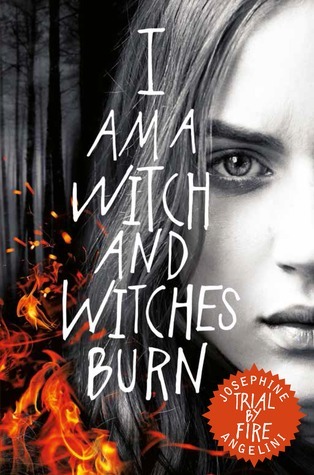 I am really eager to read Trial by Fire soon, maybe next week or so! I’ll keep an eye out for a review then. I trust your judgement! 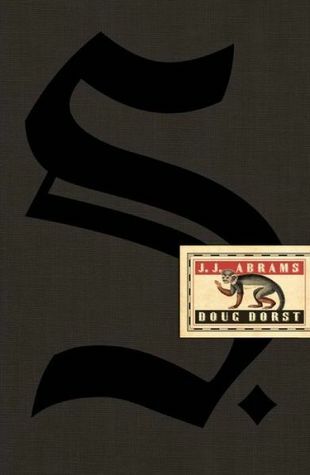 I tried reading S. I’m a big fan of J.J. Abrams, but couldn’t get into it.